As the race between ID cards counterfeiters and defenders goes on, there is a growing tendency to integrate more security technologies into single elements. Guards can check just this single element, while the attackers need to do multiple their works. IQ Structures, a Czech research and manufacturing organisation focused on optical nanotechnologies, announced the launch of a product that integrates the most robust anti-counterfeit protection technologies – high-resolution holograms and transparent windows in polycarbonate ID cards. The solution is based on IQ proID product. Holograms consist from tiny parts, and melted polycarbonate flows between them during the card lamination. The hologram is thus integrated into the card seamlessly and any manipulation attempt results in irreversible disintegration of the hologram. Transparent, metallic and combined holograms in any arrangement can be placed into transparent windows with the new IQ Structures´ solution. 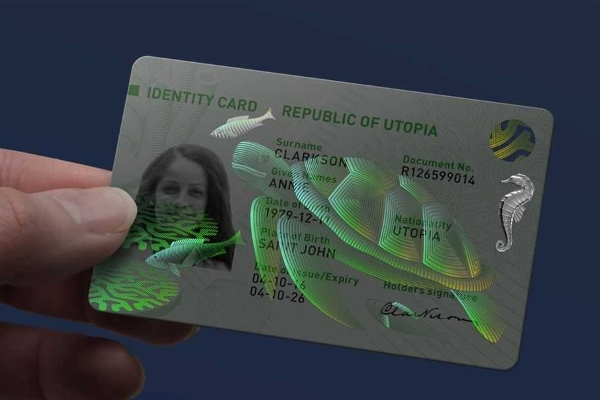 These holograms can create an organic unit with background graphics and security graphics of the ID card. It is critical that holograms for transparent windows have specific features such as unusual visual effects, strong even in low-quality lightning, which is challenging for transparent holograms. IQ Structures company is backed by its origination centre, recently awarded by double victories in Excellence in Holography 2018 organised by International Holograms Manufacturing Association. IQ Structures´origination centre applies different technologies, including e-beam lithography and laser holography to create unique effects, such as well shaped 3D objects and small animations. IQ Structures has been working on integrating anti-counterfeit technologies for a long time. It recently announced a solution that enables clients to incorporate holograms and Security graphics. IQ Structures is a research and production company focused on optical nanotechnologies, especially strong in security, anti-counterfeit protection and lightening. Backed by 20-year experience, IQ Structures has built extensive research capacities, owns several patents, and operates a manufacturing unit with a capacity to protect more than 100 million polycarbonate ID cards a year. It has been awarded several international prizes for excellence and scientific innovation, including recent double awards by International Holograms Manufacturing Association. The company is settled in Řež, close to Prague, the Czech Republic.